Based in Glasgow, Conzo has been steadily creating works for the past decade which span multiple creative disciplines. 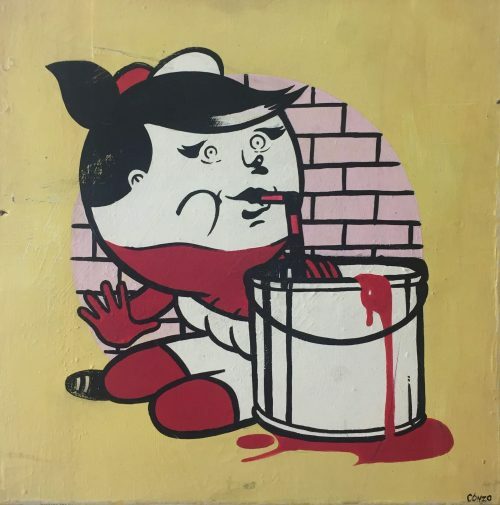 With an armoury of skills rooted in illustrative graffiti, his work and style is usually character based and features unique image-play on both the ugly and the cute. 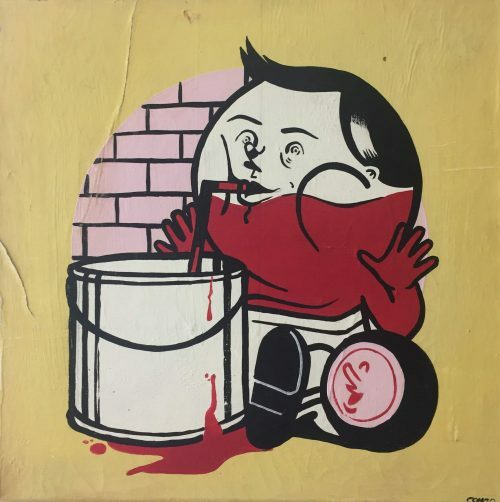 Having travelled the world showing his work, Conzo’s satirical paintings, based on humorous nuances of Scottish life keep him solidly tied to his roots and make him one of the UK’s finest artists in his field.